As resident chef, cook, recipe collector, Facebook food sharer, I spend a lot of time scouring cookbooks, blogs and Pinterest for new recipes. I had a friend recently message me and tell me I needed to start a food blog. The thought has crossed my mind, but then again, why would I want to add that extra stress when I can just share right here on The RHOK?!? So, I am going to try and mostly post about food on my days to write. I hope you'll enjoy the recipes. 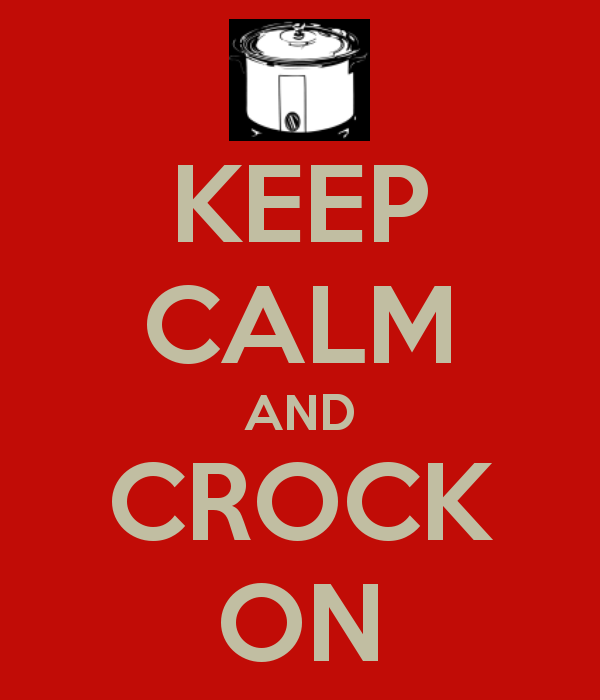 I've been using my crockpot a lot lately. It's just nice to not have to rush around in the kitchen after school trying to get dinner going. My family likes to eat early and if I don't get dinner at least started by 3:30 then I might as well forget it. Soccer practices start back this week. That's two nights that will have to be crockpot nights! 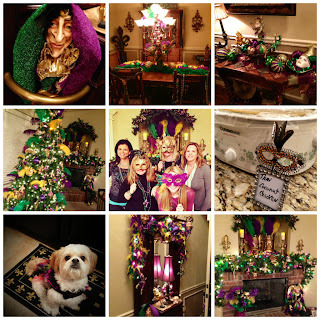 The Monday before Fat Tuesday I had some of my dear friends over to my aunt's house (it was beautifully decorated for Mardi Gras) for a get together. 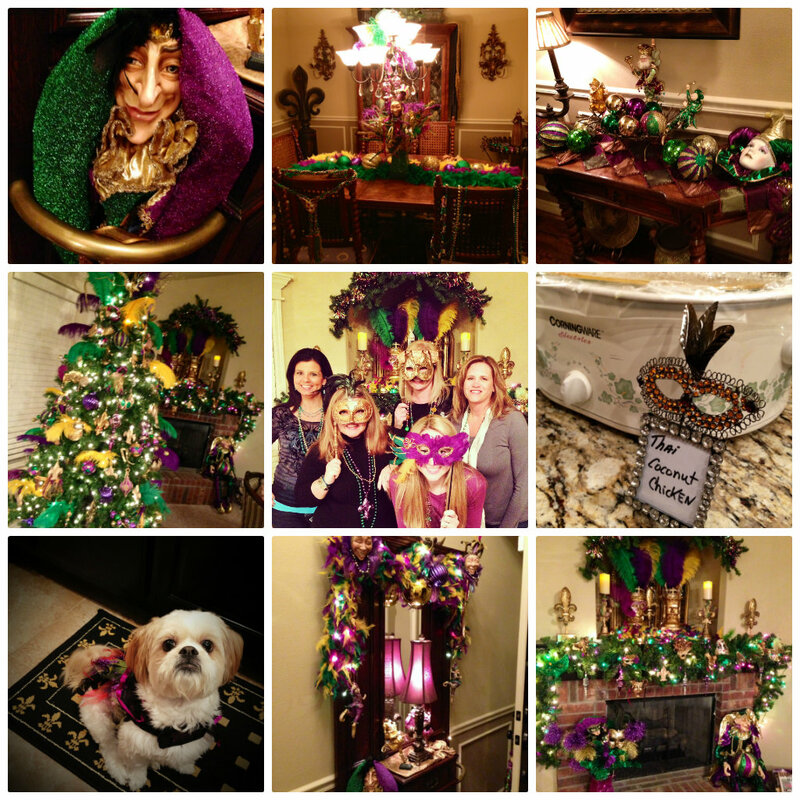 Everyone brought food in their crockpots for our Crock On party. Tonight I made a new recipe in the crockpot and it was super easy and turned out quite yummy. Mix all ingredients except the sausage. Pour into crockpot (spray with non-stick spray or use a liner). Lay sausage on top of the beans and cook on low 3-4 hours. 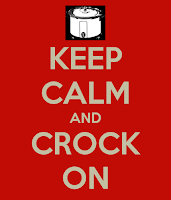 What is your favorite easy crockpot recipe? I'd love to try it. Leave the recipe in the comments or email me at wearerhok@gmail.com.